Every year immediately post-Pickle, I feel a huge sense of relief that we got through another successful Pickle and also a real bummed out feeling that another year is in the history books. 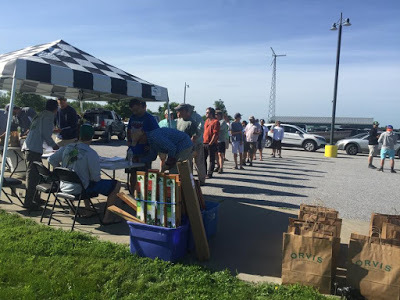 I'm so thankful for each and every one of you that came out to be a part of our growing "Fun-raiser" that has put a fun, ethical spin on tournament angling on Lake Champlain. With the FLW tournament going on simultaneously out of the NY side of the lake, there were plenty of anglers competing all over the lake. It was great to see so many fly anglers and Pickle shirts as I cruised around different parts of the lake! 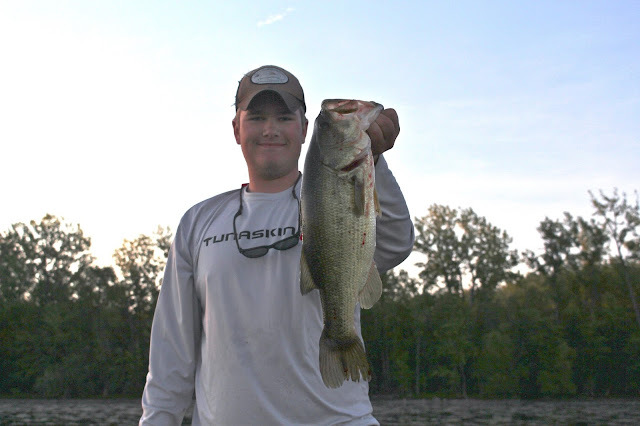 In all, there were 72 teams and 163 anglers that showed up to the Pickle Family Reunion this year. A large jump from 134 anglers in 2015! We were pleased to roll out the DPC Tournament App for this year's event. 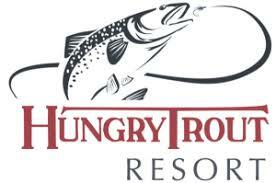 Well over 100 anglers downloaded the app and we got some great reviews from the field. Service can be spotty on N. Lake Champlain, but we were still able to collect 2 updates on Day 1 and a lines out update on Day 2. I spoke with several anglers that made adjustments to their strategies after seeing the first updates of the event. Send us your feedback and look for more fine tuning of the app and scoring process as the Pickle progresses. We did hear of some Picklers that went to the wrong venue for the awards. All the details were listed on the 2016 DPC page, so apologies for those of you that didn't look that over. There's even a map on the page. 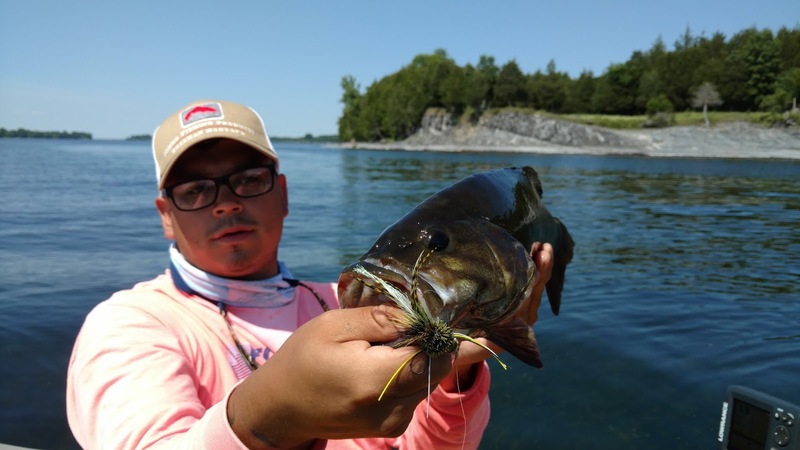 Lake Champlain was about 3 feet lower than last year, which surprised many anglers that found dry ground that was once underwater structure. It was also hot, hot, hot this weekend with air temps in the 90's both days. The wind really blew on Sunday, so a large chunk of the field struggled just to find areas out of the gusts. After the scores were tallied, it was a 1 point difference between 1st and 2nd place individual, and Dillon Brooker (Kind of a Big Dill) was able to squeak by Jeff Faulkner (Imbassiles) and take home the win with 27 individual points! 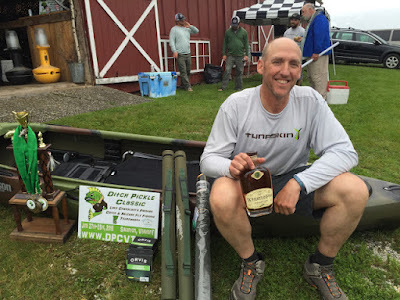 Dillon took home the DPC trophy, the Jackson Kayak and the Samantha Aronson print! Way to go Dillon! 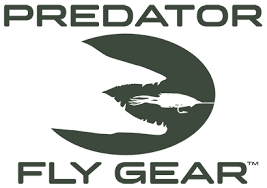 Jeff Faulkner and John Cooper (Imbassiles) were a close 2nd and third place, with Jeff (26 points) taking home the Orvis Recon Outfit and John (23 points) taking the Pat Cohen fly selection and Peak Vise donated by Green Mountain Troutfitters! Dillon Brooker and Dan Russell (Kind of a Big Dill) worked hard to put points on the board and soon learned that every point would count! Their 49 points combined were enough to put them in a tiebreaker 1st place podium spot and unseat 2-time champs, John Cooper and Jeff Faulkner of team Imbassiles! 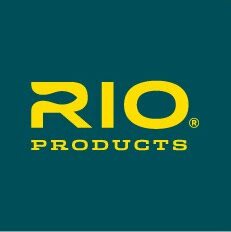 Dillon and Dan's 1st place spot earned them a pair of Orvis Hydros reels, Julbo sunglasses and a couple Chloe Salamone prints! Cooper and Faulkner are a force to be reckoned with and don't go down easy, missing 1st by a hair and taking homea pair of Orvis Clearwater Outfits! Ben Wilcox and Michael Woulf (DSTP) posted 39 points for a 3rd place team finish and a pair of Rock River Rods! This year we set a record with our biggest pickle yet, a 21.75" largemouth landed by James Kontos (Gyros & Perogies)!! 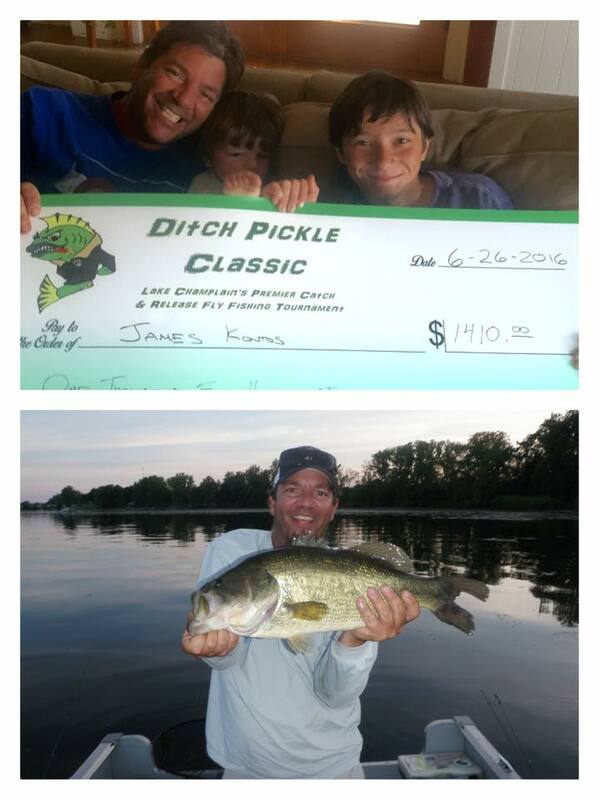 For that 1 fish, James took home a big check for $1410.00!!!! 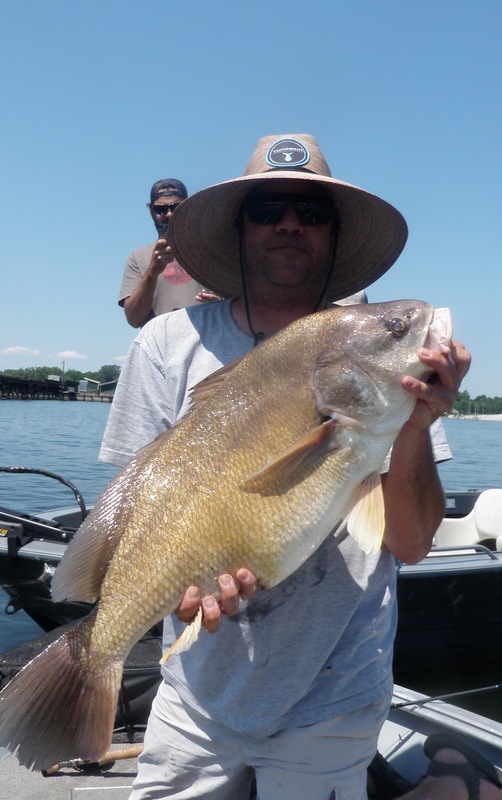 James Kontos also took home a brand new Sunny Brook Landing Net for landing a 35" sheepshead that would trump the exotic category! In a complete turn of the tide, previous Big Pickle winner Jim Anderson foudn himself instead the recipient of the Nick Mayer bass print for the smallest bass award. 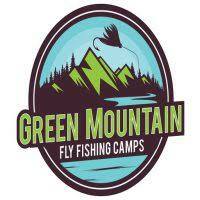 Our top paddler was Jeremy Clapp (Hartford Yard Goats) who took home a Fishpond sling sponsored by Green Mountain Troutfitters. Marc Guy (Old Dirty Basstards) landed some nice fish, including a 34" Northern Pike which ended up being the largest of the weekend and worth a Redington Predator fly rod! In our Junior category, Max Hogg was able to put some quality fish on the board for a total of 11 points. Max won an Orvis Hyros Fly Line and also had the 2nd biggest pickle (20") of the weekend! 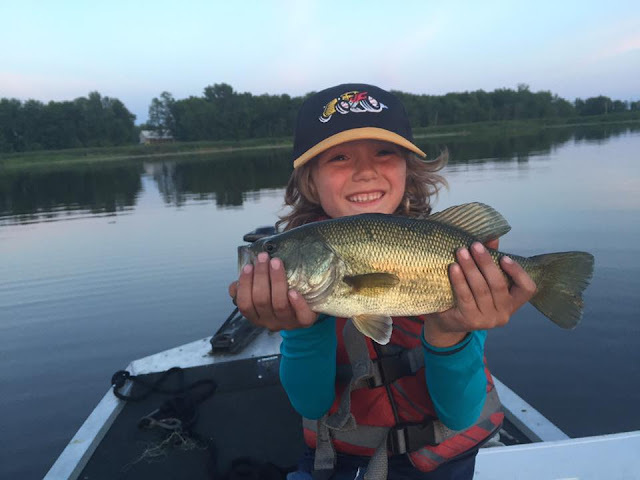 We also had our youngest angler of Pickle history, 7 year old Finn Barden (Record Rock Bass)! Finn was awarded Tunaskin gift cards. Some incredible team names as always! This year it was Chloe Salomone and Daunte Hueckstaedt from team, I Like it on Topwater that won the best team name and a pair of $50 Cheeky gift cards! There were plenty of boat troubles, but the Breakdown Award went to Team AJ, who ran aground at 30mph and did some serious lower end damage! We hope the bottle of Whistle Pig Whiskey eased their pain! 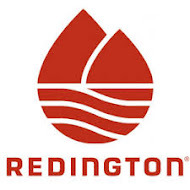 A huge shout out to our great sponsors that make this all possible! 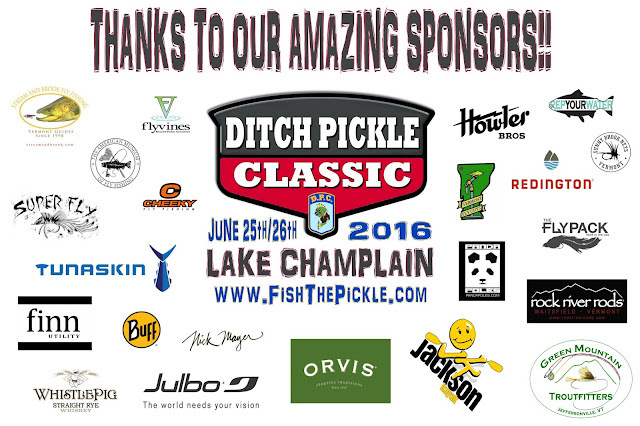 Mark your calendars for the 2017 Ditch Pickle Classic on June 24/25, 2017! We're very excited to announce the 2016 Ditch Pickle Classic "Catch-Photo-Release" Fly Fishing Tournament on Lake Champlain! 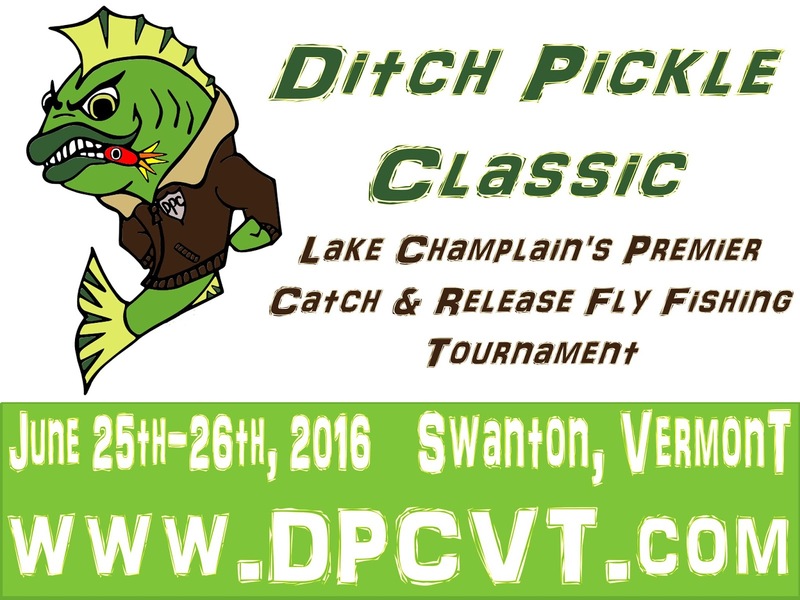 The 2016 DPC based out of Swanton, Vermont will be held on June 25th-26th on beautiful Lake Champlain. 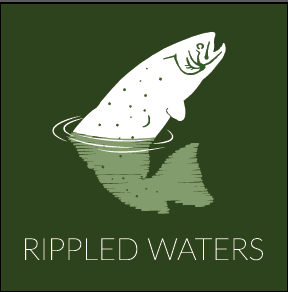 The DPC is open to anglers of all ages and skill levels. 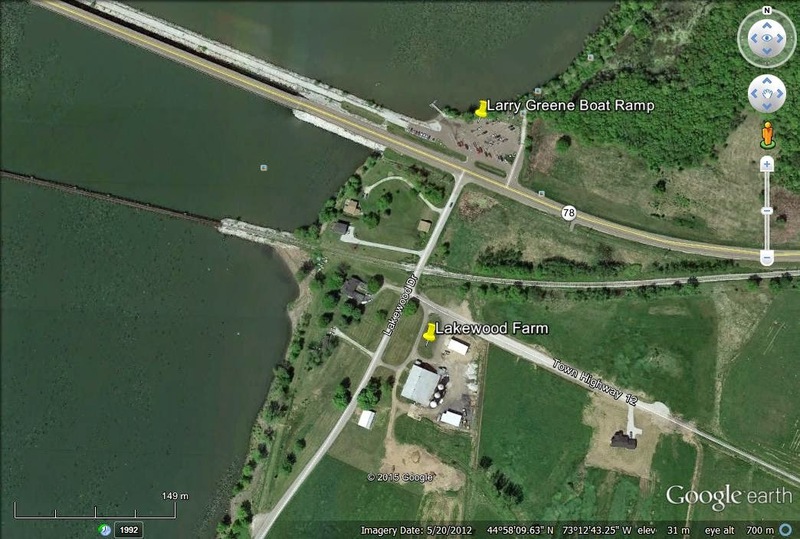 On Saturday the 25th, we will have our check-in at the Headquarters for the Missisquoi Wildlife Refuge on Tabor Road. Click HERE for directions and info about the site. 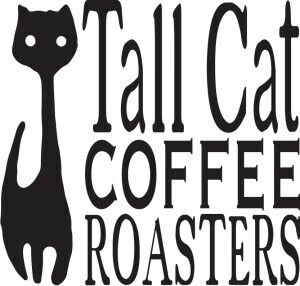 We will be open for check-in as of 8:30am on the 25th. Lines in @ 11am this year!! 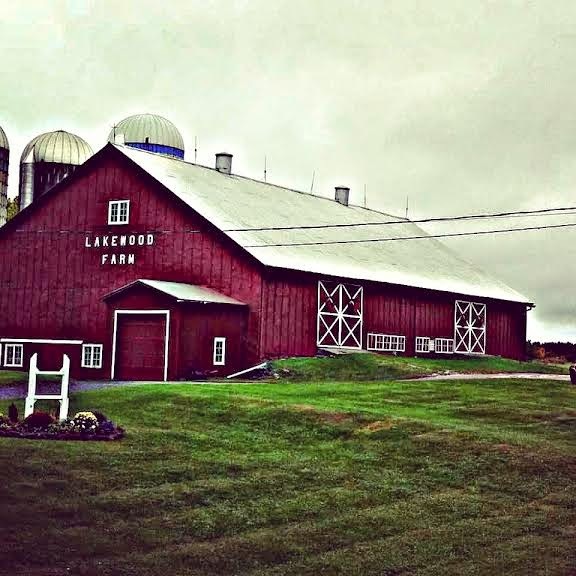 We will hold the post-tournament BBQ on Sunday 6/26 at the Lakewood Farm on Lakewood Road. Lakewood Rd. is directly across the street from the Larry Greene Access (see the map below.) The official tournament "Weigh-in/Awards Ceremony" will take place during the BBQ, so all entrants and spectators are strongly encouraged to attend regardless of how you did in the tournament! There is no charge to attend the BBQ and we'll do our best to make sure you don't leave hungry! 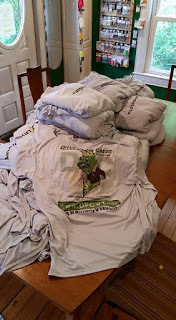 Again for the 2016 DPC, thanks to a partnership with our good friends at Tunaskin Aquatic Apparel, each angler participating in the event will receive a Tunaskin Performance Longsleeve Shirt as part of their entry!! !